Verizon has a Special Announcement to Make on May 22, Any Guesses? Big Red has been quiet this year in terms of device announcements, even managing to remain completely silent on the Samsung Galaxy S4 since its unveiling. There have been rumors of a May 30 or even May 22 launch floating around, so the timing of this announcement works. But why host an entire event to announce that they are carrying the GS4? Samsung already told us it’s coming, they just wouldn’t give us a date. Seems unlikely, right? Will they announce a network change? More on their LTE rollout or even VoLTE? First VoLTE phone? What about the end of contracts with smartphone plans? Could we see their oft-rumored HTC One variant codenamed DLXPLUS? 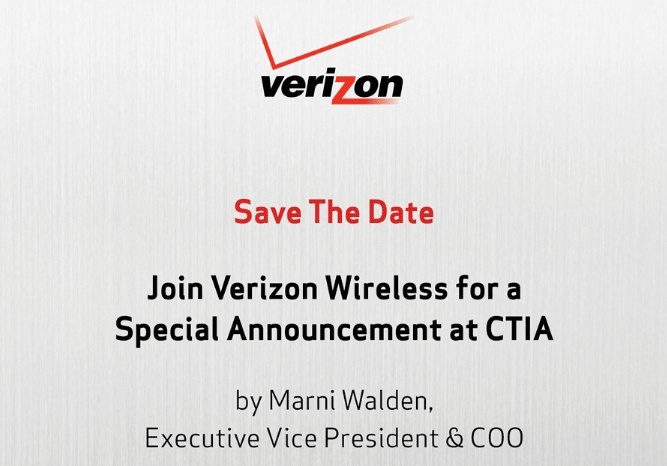 Verizon, you have grabbed our attention.